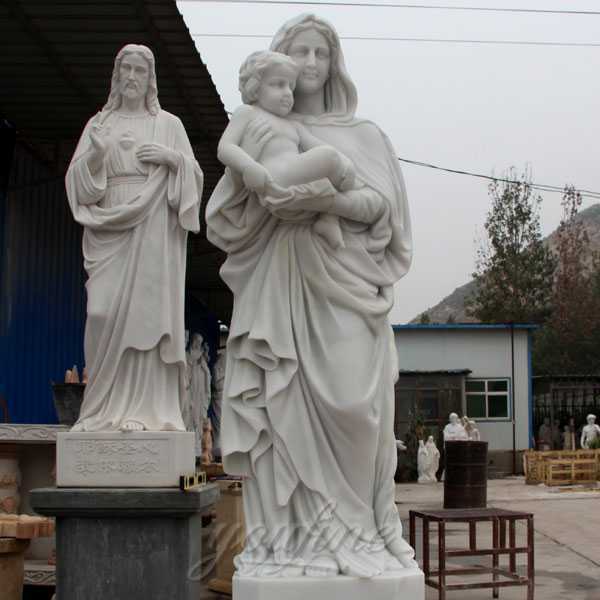 The Marble Virgin Mary and Baby Jesus Statue is one famous religious statue.Normally, church project designers would choose Virgin Mary and Jesus statue,marble Jesus statue and marble Virgin Mary statue. 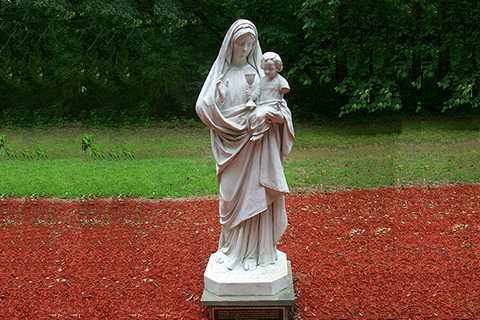 The Virgin Mary and Jesus statue represent the happiness and importance of family life. 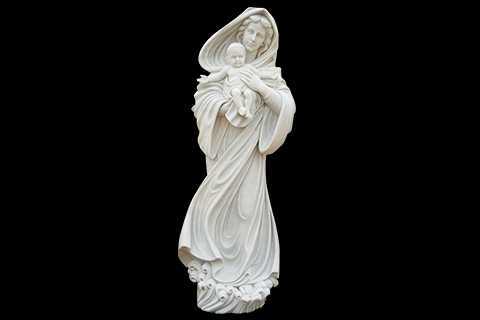 The Jesus and Mary are purely hand carved. 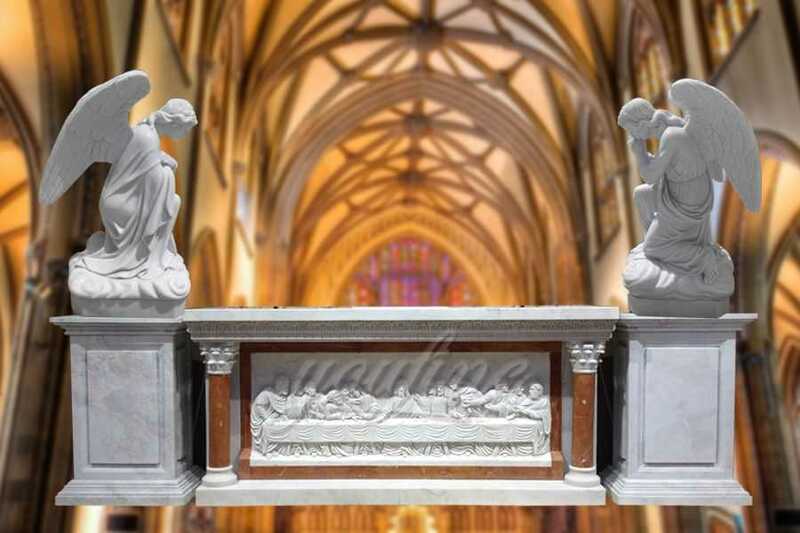 Masters have expresses the expressions very well.The Virgin Mary and Jesus statue could be put in the home,also could be put in the Church! Price would be different according to the sizes, call or email us for more details! 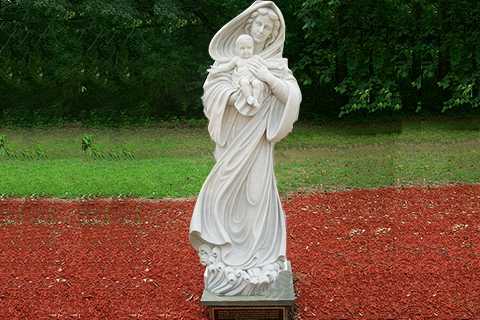 All of our Marble Virgin Mary and Baby Jesus Statue have our 30-years quality guarantee, which means that if you find any problem with the marble holy family you purchased, you can quickly approach You Fine for the necessary solution for free. In severe cases, money will be given back in less than 7 days. 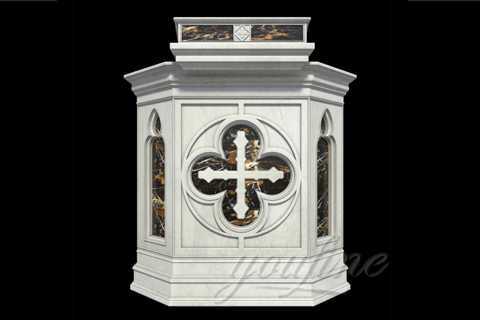 Our prices not arguable, this because that we are marble holy family marble statue manufacturer (our own foundry), not just suppliers. We make sure that we would negotiate to suit our art quality as well as our customer’s budget. 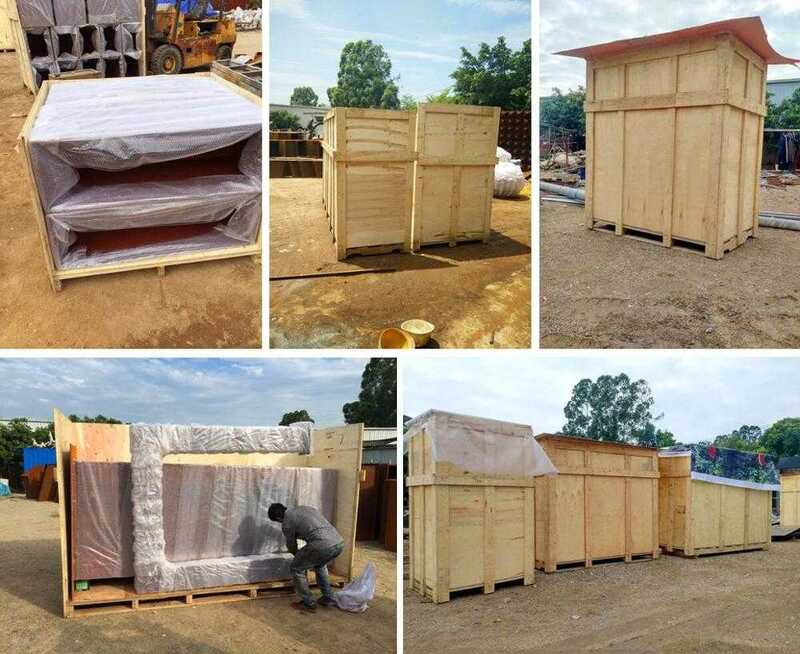 However, we always advise customers who insist on very cheap rate as compared to some other company’s product to also consider the art standard. 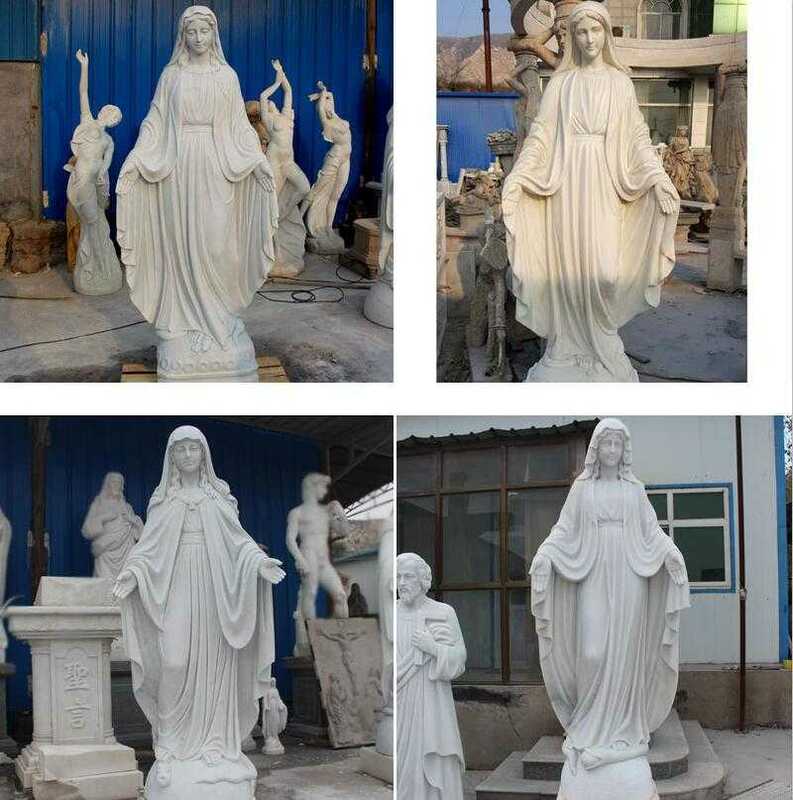 As a factory of 30 years history, You Fine has about 15 top masters who are concentrated on Religious Catholic Statue professionally. 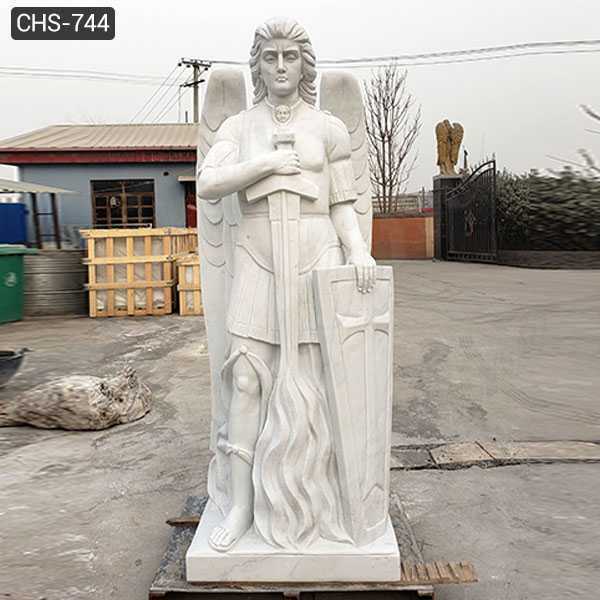 And we also have masters who sill at carving different statues such as western figure statues, customized statue, angel statue, four season statue, bust statue, abstract sculpture, statue lamp,etc.. Here at You Fine, talented designers could make the CAD drawing and installation direction,QC team control the quality strictly, better quality and better service is our main goal for a lifetime. 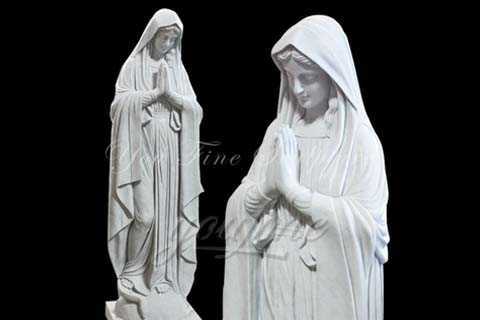 So if you have some requirement about Marble Virgin Mary and Baby Jesus Statue,or want to custom made any other catholic religious statue in marble,please contact with us right now ! Bronze Angel Statue For American Customer.